Wednesday, July 27, 2016 President Jokowi reshuffle his cabinet for the second time. There are interesting from an overhaul vol 2 this time, of the 13 new ministers were sworn in, it appeared that not all the new faces, but there are also old faces stock of the past. One of them is Sri Mulyani Indrawati entrusted to occupy the position of finance minister replacing Bambang Brodjonegoro. 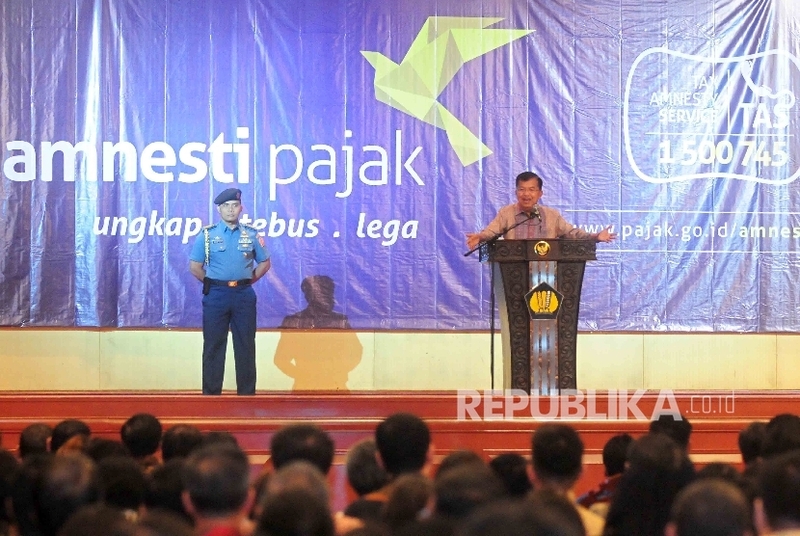 Political analysts, most assume the replacement of some ministers is part of the political reciprocation Jokowi-JK after joining the party Golkar and PAN with the government. May be true but this perception was not entirely true, because there are some professional backgrounds minister is actually not a politician pure finance minister Sri Mulyani such as this. The question arises in public, why Sri Mulyani should be invited again served as finance minister of Indonesia, but when the era of the SBY behavior was classified as horror-horror savory and to grip the public. Try to remember again the policy to bail out Bank Century when it was so warm and discussed hot, so hot this case to the extent deemed to be trending topic most excited and talked about the old social media enthusiast. Could the finance minister was previously lacking performance was satisfactory president Jokowi to be eligible for the position is shifted slightly to the Head of Bappenas Bambang Brodjonegoro? This last case deserves to be recognized it is, the performance of the ministry of finance RI under besutan Bambang Brodjonegoro feel less lost. Such as a matter of target achievement tax of 1.490 trillion in 2015 could not be fulfilled, then the movement of illegal exchange rate of the dollar against the rupiah is often almost touching the psychological point, the budget deficit still amounts to 2 percent of GDP and the latter about the assumption of national economic growth often miss the mark so it must be revised several times. 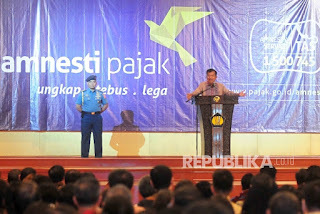 I can understand the concerns about the president Jokowi tax amnesty legislation that is expected to also difficult to be implemented by the finance minister long after the House of Representatives approved last June 28. The problem is, the state would lose potential tax receipts, approximately 150 trillion of total 3000 billion fund, which was parked outside negari, if it fails to execute this policy. The question is, Can Sri Mulyani carry out well-designed scenario the government like that? With the backdrop of the predicate the number two in the structure of world bank officials who served as executive director should work to increase the coffers state income tax sector is quite easy. Affairs of state tax revenue target was achieved or not is another matter again. But I do not believe in forgiveness scenario the tax would go smoothly, according calculations on paper. The reason, a similar policy entitled sunset policy has three times held the 1964, 1984 and last in 2008, and the results are not encouraging. For example, in 2008, of the government's target of 60 trillion that can be realized only in the 8 trillion. That given the target of tax of 1,547 trillion in 2016 I'm pessimistic, tax amnesty legislation can make a significant contribution to the acceptance of the tax sector. Root of the problem, the key points of tax amnesty legislation just targeting the subject matter of criminal penalties taxes Income tax, VAT, including the matter of repatriation of wealth by some ransom. Attractive proposed special criminal offender and general criminal apparently not considered by the government to be used as a new alternative source of state revenue. Later this tax remission policy also reap a lawsuit to the constitutional court on the foundation of justice because it is considered unfair. Should the government needs to be fair not only pengemplang taxes by forgiveness but criminals, perpetrators of illegal logging, illegal fishing and also should receive similar treatment. The reason is, first pengemplang tax not report his property then gets a pardon from the government's position is actually equivalent to corruption, illegal logging and illegal fishing. Is not the same all boils down to enrich themselves. The second reason that the space sector income taxation could be wider and loose so that it can be ascertained 1,547 trillion tax revenue target could be achieved. If only, this can be implemented closest possibility would be strong protests legal experts, why there are criminals who pardoned so it is considered a bad precedent in law enforcement in Indonesia. But the national economy should be growing fast, and the quality it needed capital investment is not small. Collaboration sufficient capital, sustained the improvement in the world economy (the US and China) is currently pursuing the efforts of national economic growth target of 5.4 percent is not impossible that would be achieved. Bonus to the non-financial sector was expected to get the sap too, though not so much as in the financial sector and financial services. Finally, it is time there was a bold step from the government, especially the president Jokowi to change, develop and manipulate the bit patterns based state financial acceptance of its judicial authority. This method might be a little awkward, but it's undeniable prerogative recognized president constitution.